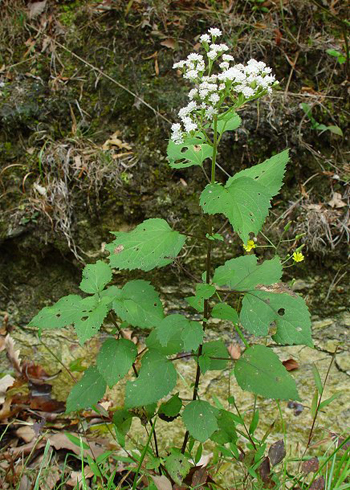 Native Americans used root tea for ague, diarrhea, painful urination, fevers, “gravel” (kidney stones); poultice for snakebites. Smoke of the burning herb used to revive unconscious patients. “Milk sickness”, with weakness and nausea, may result from consuming the milk of cows that have grazed on this plant. It is considered toxic. Do not use without medical supervision.